I tested CrazyBump & Genetica 4.0 for this asset. Sad that CrazyBump don't allow a direction randomness. It sticks to a 45° direction for unflat surfaces. Thank you for posting your excellent textures. wancow (5 years ago) Inappropriate? 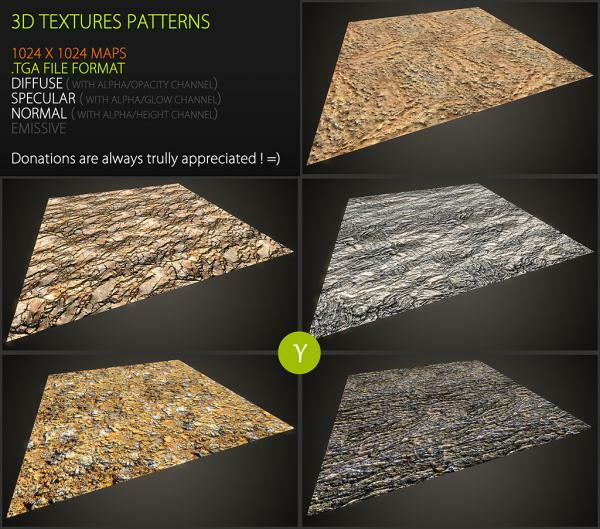 Your texture sets are MUST HAVE for anyone doing 3D! Thank you so much for them! Perhaps the most useful freebie there has ever been.